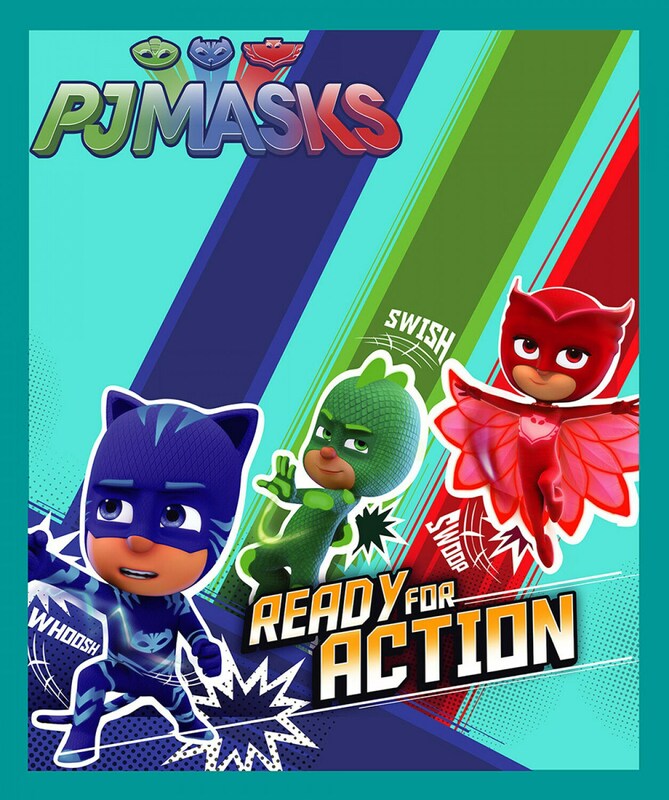 PJ Masks Ready For Action cotton panel -- approximately 35" x 44"
Get it fast! Ready to ship in 1–2 business days. Ford F150 2015 cotton panel -- approximately 35" x 44"
Pansy cotton panel -- approximately 23" x 44"
Jake cotton panel -- approximately 35" x 44"
Dirt Magnet cotton panel -- approximately 35" x 44"
American Valor cotton panel -- approximately 23" x 44"
101 Dalmations cotton panel -- approximately 35" x 44"
Heartland cotton panel -- approximately 23" x 44"
Blessings cotton panel -- approximately 35" x 44"
good seller,item as described,fast shipping thank you! Horses - Large Squares cotton panel -- approximately 23" x 44"
I have been making the Texas themed quilts for sale at Market Days events, etc. and they are always a hit!!! Texas Our Texas Black cotton panel -- approximately 23" x 44"
Thank you. The item was what I expected. Thank you so much. Excellent shipping and customer service! Already had one Texas panel in use. Lone Star Map Brown cotton panel -- approximately 23" x 44"
We accept Visa, MasterCard, American Express, Discover, PayPal and Etsy Gift Cards using the Etsy online secure payment system. If the address to which we are shipping is in the State of Texas, an 8.25% Sales Tax will be added onto the total amount of the order, including the shipping cost. Orders from your home state may also require Etsy to collect and submit sales tax for orders you place with us. Refunds will be made promptly in the rare event we are out of stock, and you will be notified in this case via email. Every effort is made to insure you are sent the items for which you asked. Please call or email us if you believe you were shipped an order by mistake. We are unable to take returns on panels and books. Please consider your order carefully before submitting it and let us know if you have any questions. We ship within 1 to 2 business days after receiving your order and your default shipping method is U.S.P.S First Class Mail, which usually arrives within 3 to 5 business days after we deliver it to the Post Office. You will have an option of choosing U.S.P.S. Priority Mail which will result in delivery in about 2 to 3 business days after we have delivered it to the Post Office. You will receive an email supplying you with a tracking number for your order when it ships. U.S.P.S. Priority Mail will also automatically ensure your shipment for up to $100. Dodge Racing cotton panel -- approximately 35" x 44"
Interlude Coral/Rose cotton panel -- approximately 23" x 44"
Island Sanctuary cotton panel -- approximately 23" x 44"
MarioKart cotton panel -- approximately 35" x 44"
Planes Let's Soar cotton panel -- approximately 35" x 44"
Butterflies cotton panel -- approximately 23" x 44"
Kidz Ark cotton panel -- approximately 23" x 44"